My favourite presents at Christmas are always the really personal ones that make me smile, they're not always big and flashy but they really touch me and make me smile because so much thought and love has gone into them. My little sister bravely decided this year to make her own presents to save some money. This is something I wish so much that I could do but unfortunately I'm really not creative enough. 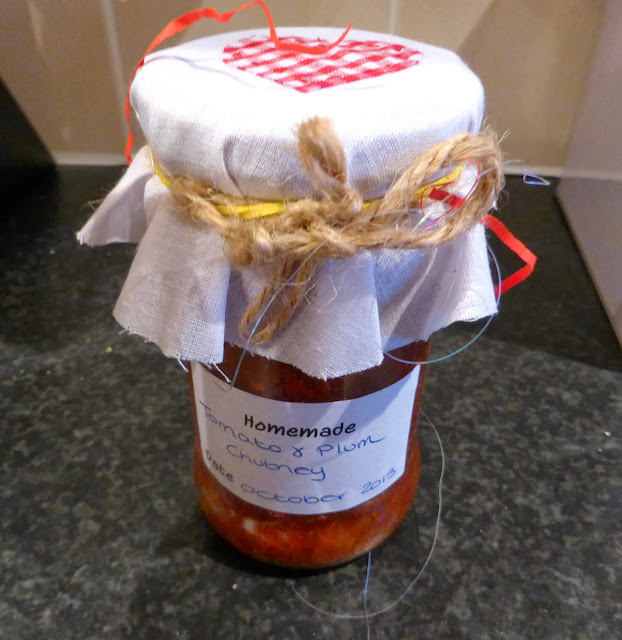 She gave the whole family a bag of homemade goodies including this gorgeous jar of chutney. As Simon and I are really into our cheeses I'm looking forward to cracking this open as soon as possible. When I started to lose weight I wrote a list of things to inspire me to get to goal. They were things that I'd never ever been able to achieve because my size had held me back. One of these things was to own something from Top Shop. So for Christmas my sister got me a gorgeous skirt from Top Shop because she knew that it was one of the goals still left on my list. 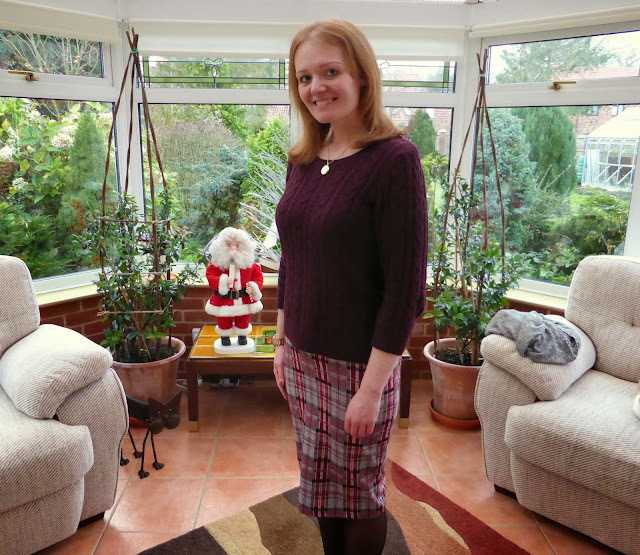 I loved it so much I wore it on Boxing Day. My lovely friend Kate loves films as much as me, when I lived in London she was my Film Festival buddy and we spent many enjoyable days dashing from one side of London to another to cram in as many films as possible. Kate has fantastic taste in films and has known me for so many years she knows exactly what I like. Quite often for Christmas or Birthday she'll pick out a film for me that I've never seen and I absolutely love getting a new DVD from her. She is always spot on with her choices. 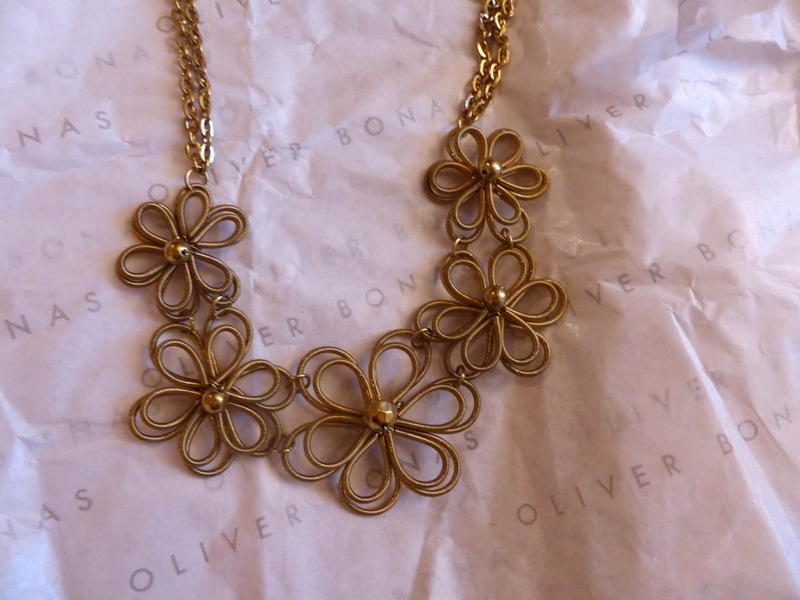 This beautiful necklace is from my friend Lauren, she knows how much I love Oliver Bonas, and probably realises how much I miss it since moving to the North East. She loved this necklace so much she picked one up for herself and one for me. The girl has great taste! This chocolate bar really made me smile. 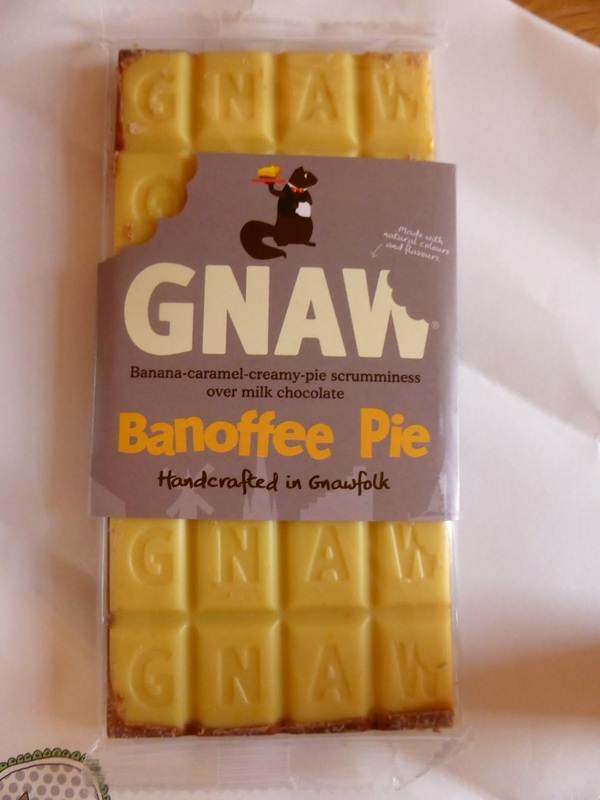 Not only does it sound delicious but it's from "Gnawfolk" and was made in Norwich. My clever friend Jenny found it for me. 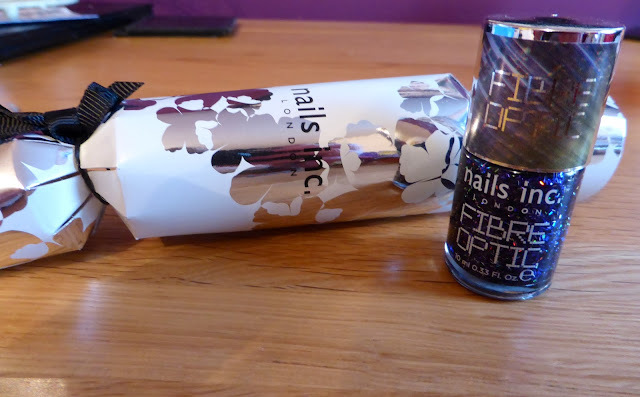 She also managed to hunt down a Nails Inc cracker, which is awesome as I've been obsessed with Nails Inc for years. I love the colour of the varnish that was hiding inside. Everyone knows how much Simon and I love our afternoon teas so Simon's Mum gifted us with our very own Afternoon Tea recipe book and cake stand. 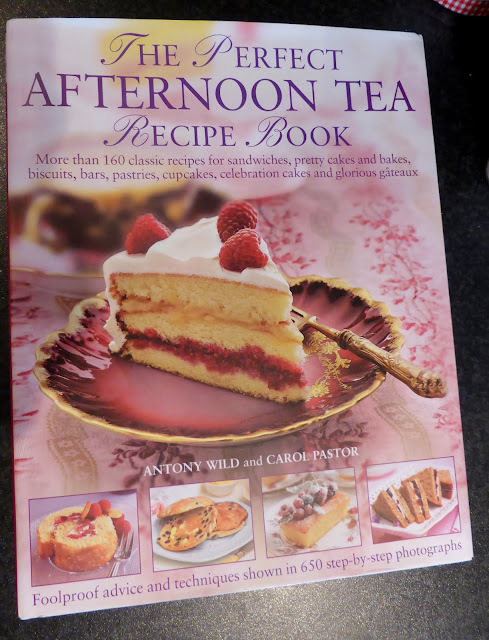 As my sister also bought me some special afternoon tea forks I'm very much looking forward to us having a go at creating our own! Silly presents are the best, and these are two offerings from Simon. 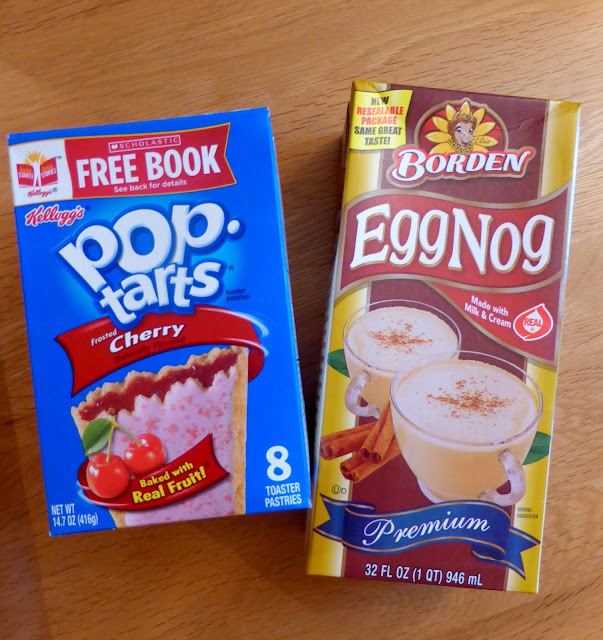 Some eggnog to make my very own eggnog lattes as I'm so obsessed with the ones at Starbucks and Cherry Poptarts as he was shocked when I'd admitted that I'd never tried them before! I got lots of lovely pressies but these are just a handful of my favourites as they feel very unique to me. Gifts with thought behind them always are the best.